What are the low back pain causes? Here we will review what causes lower back pain. We will provide a comprehensive review of lower back pain from both the medical view point and from the water cures knowledge base. Finally, you will be provided with alternatives to surgery and chemical medication to eliminate low back pain. Holistic health care, natural healing or call it what you like, we focus on treating the entire person, not just the symptoms. We can help you learn ways to treat your personal low back pain causes. National Institutes of Health estimates that 8 out of 10 people will suffer from back pain during their life. Pain can be set off by something as simple as sugar in our diet and something major like injury. Note: If you skip everything else, make sure and read about how little sugar it takes to cause lower back pain. It will be the last section on this page. 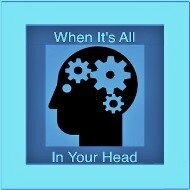 Mechanical reasons for pain include the way we move our spine or the pressures we put on our spine. These movements can result in pressure on the disks that cushion the vertebrae or our back bones. The way we move can cause disk degeneration called intervertebral disc degeneration. This means the disks are breaking down. The medical view is that it is age related degeneration. At Water Cures, we feel that the reason is more likely fluid and electrolyte imbalance, less than bodies needs. The disk is dependent on hydration to function properly. In modern medicine, they are viewed as breaking down and loose cushioning ability. What if the breakdown is due to dehydration and the resulting inability to act as a cushion. Once wore down, any stress can cause further damage that will result in pain. Some of the ways we can cause mechanical damage to our back is by repeatedly getting into our car improperly, lifting improperly, carrying a few extra pounds, and the wrong bra. The best chair can be bad for your back if you do not get out of it once and a while. Our spine needs movement to increase circulation which is how proper hydration is effected. One thing you can do to help, get up, stretch and walk around at least once an hour. Nothing will help like proper posture, head straight (not tilted down) when typing or reading. No slouching. Adjust the seat so there is a slightly backward tilt which reduces the load the back takes. And your feet should be firmly planted on the floor. Strutting stilettos causing a toe first downward pressure can cause your back and pelvis to become misaligned and can result in back pain. The normal heel-toe gait, the stress is passed on to the knees, hips and back. This creates a perfect position for pain from the knee going up to the lower back. Backless shoes, flats and flip flops likewise do not provide stability. These can put additional stress on the spine due to the shifting that these shoes allow. If your body weight is not distributed properly, back injury and pain can result. If you must have high heels, keep them 3 inches or under. A few extra pounds around our middle, whether from indulgence or hormone imbalance, weight can cause pain. A large belly causes the pelvis to tilt out of alignment, With our body trying to maintain alignment, the back is put under a lot of strain. 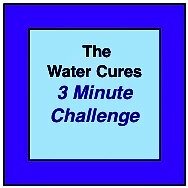 The water cure protocol has resolved low back pain causes for many. Osteomyelitis or an infection of the discs that cushion the vertebrae or when they involve the discs that cushion the vertebrae, which is called discitis. Spirochetosis, infection by spirochetes such as those that cause Lyme disease also cause arthritis pain. The Water Cures protocol can help eliminate the pain and bring under control the infection. At this time, it is not believed possible to totally eliminate the bacterial infection by spirochetes. 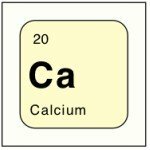 can also cause back pain. If you drink one too many soft drinks in a day, the excess sugar can cause severe pain in the back. Candy, soda, pie, ice cream, crackers, ketchup, yogurt are loaded with sugar and often, high fructose corn syrup. Then there are pasta, potatoes and white rice and alcohol which turn into sugar in our body. Of the 100 to 180 pounds of sugar we consume each year, less than 30 pounds are from the sugar bowl. The rest comes from foods and soft drinks. 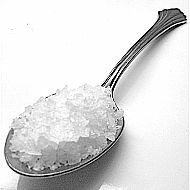 As little as 2 teaspoons of sugar can off set your body chemistry and unbalance homeostasis. Our bodies have a unique balance needed to be able to repair and maintain life. 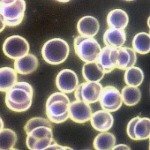 Inflammation is one of the ways our immune system responds to assault or injury. When we consume too much sugar, our body releases insulin and stress hormones. These in turn trigger inflammation process. The places where we have the least circulation of the blood, we have the greatest risk of inflammation. This is why our joints and especially our back is at greatest risk. One solution is to eat less sugar. 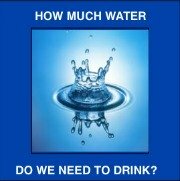 Since lifestyle sometimes does not allow us to control our diet as we would like, water cures provides a viable option. 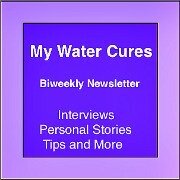 Following the water cures protocol will help in two ways. It will help dilute the insulin which will reduce the inflammation. It will help with the delivery of the insulin since the properly hydrated cells can process better. 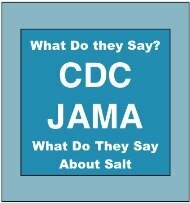 The salt and minerals in the salt helps the body more quickly find balance. Using the water cure can help eliminate the sugar cravings too.